This selection of newspaper article from Northeast Wisconsin includes Menominee, Stockbridge-Munsee Band of Mohicans, Chippewa (Ojibwe), and Oneida stories from 1865 to the 20th century. This is a great resource for history buffs as well as those who love a good story. The transition from the 1850s treaty days to reservation experience come to life in these accounts. Information about mounds and other geographic features, logging, wildlife, court activities, women’s roles, and interactions between Indigenous and settler communities are some of the topics. 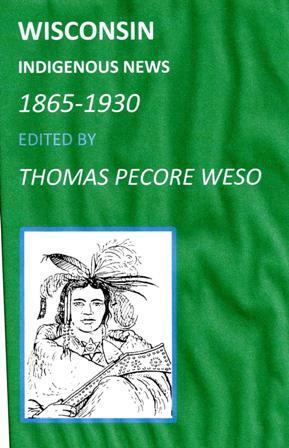 A foreshadowing of the Ojibwe activist Hole-In-The-Day’s murder appears in these pages, as well as biographies of early characters. The murder of Augustin Grignon is another topic, the 1874 Menominee fair, a trickster Manabus (Rabbit) story, and much more. This collection is an important primary historical resource.